Since several of you made requests for it, here is the article I referenced in last Sunday’s sermon, Do Something, Part 1. It was originally published in November 2010 on my friend Matthew Wireman’s blog. 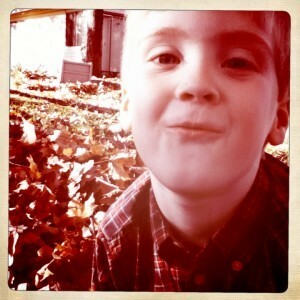 Raking leaves with my kids seems, on one hand, like such a simple example. Yet I remember it being a moment of profound & helpful clarity in my walk as I considered the topic of laboring with a God who is not served by human hands, as though He needed anything (Acts 17:25). Yet serving matters, not because God needs us to do it, but the God who came to serve (Matthew 20:25-28) is pleased to include us in what He is already doing. With this in mind, on Sunday afternoon I sent my two kids out into the field the yard to labor for their father – and by “labor” I mean “rake leaves.” I was struck by several similarities to missions & service throughout the process. It was like watching a living parable of Gospel-centric labor unfolding before my eyes. Clearly, the analogy is limited, but here are some quick reflections from raking leaves with a 3- and 5-year old. This is Eduardo’s brother, Evandro. Eduardo led him to the Lord, and he is in our internship program preparing to go into full-time mission work with Open Arms. I love seeing how the Lord orchestrates things. 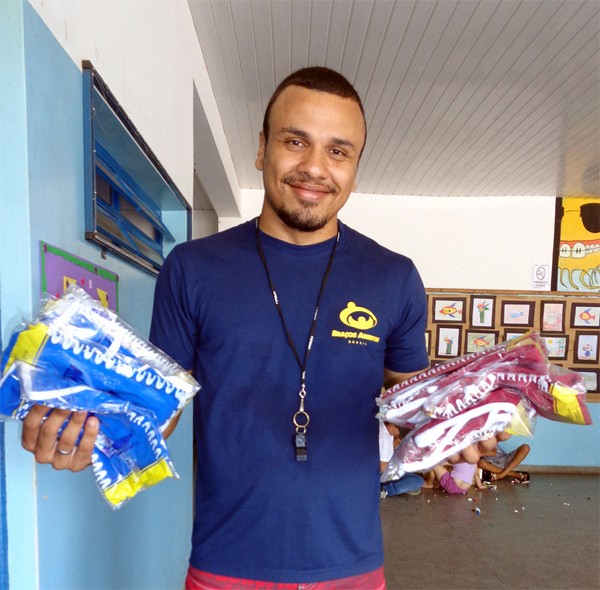 Eduardo is a Brazilian national supported by Reston Bible Church through the organization Open Arms Worldwide. He and his wife Claudia work with at-risk children and youth in some very tough neighborhoods as well as in one of Brazil’s infamous youth detention facilities sharing the gospel and helping lead young people to the narrow path that leads to life. Eduardo wasn’t always a missionary though. When he first came to Open Arms as a volunteer at the age of 17, he had just finished serving a year-and-a-half prison sentence for assault, theft, and drug offenses. Today, by God’s grace, he has planted four outreach programs for Open Arms and shared his testimony at youth camps and churches across Brazil. 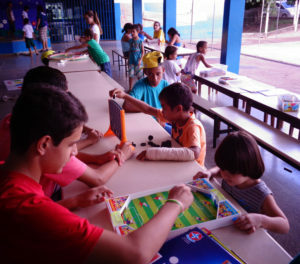 Just like in the U.S., children in Brazil learn and build relationships through activities like sports, arts, and games. Recently in response to a special request from Eduardo, Reston Bible Church allocated some extra funds for him to purchase new supplies for the ministry that include new educational/strategy games, art supplies, soccer balls (always in short supply), and other sporting equipment. These items are great for getting a child to sit down and just talk with our missionaries or volunteers. Below is a letter with prayer requests we recently received from Eduardo. Below that is a thank-you video from Open Arms to all who responded and gave to this request! “I want to share with you some testimonies and also ask for more prayer for our work. Before that though I want to tell you how much of a difference it has made to have the new material that Reston Bible Church blessed us with. Please let them know how grateful we are and how blessed the children have been. Pray that God would protect the girls who are being baptized. They have all been under attack spiritually since they made that decision. Pray that God would strengthen and encourage the kids who are going to worship services on foot now. Pray that our new outreach to the boys via soccer will be bear fruit as it has with the girls. Pray for me and Claudia, as you know we have only been married a short time and we are having a rough first year at home. Pastor Tiago has been counseling us and it has been helping a lot. Pray for my college. As you know I have an easy time understanding scripture but not so much with other books and I am having a tough time at school. I remember that you told me not to memorize but to learn. I am trying but since I skipped a lot of school as a child it is hard for me. Pray for our health, me and Claudia, because we are working hard and have little time for rest. Please pray for Emanoel. I asked for prayer for him some time ago. He was getting beat up inside. Well he was released and we went to visit him at home. He has a drug addiction. He’s only 17. We were able to get him a spot at CREMOS (a Christian drug rehab home) and we are able continue ministering to him there. Another summer is almost over in Slavonski Brod. Six short-term teams with over 80 guests have helped us share the good news of Christ with many young people. The church building is taking shape before our eyes. We look forward to the day when the building is completed and pray that God continues to grow His church that will be meeting in it. Below I have written more about both the building and our summer activities. I also want to ask you to pray specifically for a man who I have known for over 12 years. He and his wife have shown a degree of openness over the years, but it has never moved beyond an intellectual understanding of what Christians believe. But some things have happened in their lives recently that seem to have caused the husband particularly to consider spiritual things more seriously. He recently expressed a desire to study the Bible with me, and we hope to start in the next week or so. Pray for God to reveal himself to this friend and that he and his wife would one day soon place their trust in Christ! Thanks so much for your prayers and your partnership with me in Croatia! CHURCH BUILDING: The last time I wrote, I told you of a matching fund that had been set up to help complete construction of the exterior of the Slavonski Brod church building this year. We were hoping to raise $70,000 by the end of June for that to happen. The Lord has seen fit to provide, through many churches and individuals both in the U.S. and in Croatia, $108,000! The building is under construction and we expect it to be under roof in a just a few more weeks. This does not mean an end to the construction process, nor to the need for finances. Now that the building is under roof, it is safe from the elements and we can complete the inside as funds become available. We would love the help of short-term teams to, for example, take a room and fix it up. Please pray for the ultimate completion of the building in God’s timing, and for Him to continue to build His church spiritually, and not just physically, in Slavonski Brod. SUMMER OUTREACHES: This summer we have had 81 individuals come to work with us for at least one week, including a team of 11 which arrived today! With their help, we have held baseball camps, children’s Bible clubs, and open air concerts, and we have had lots of less formal opportunities to meet and get to know Croatian youth. The gospel has been shared countless times and in many ways. Two Croatian teens have even met with a small group of us to study the Bible. Summer is definitely a time of broad sowing for us as we take advantage of the many short-term workers who come to help us to share as frequently and as broadly as we can. Pray that we will see the fruit of this broad sowing one day soon. I was particularly encouraged this year by one of the teens living in Nova Gradiška who trusted in Christ last summer. One Sunday at church when several unbelieving youth came (because they wanted to say goodbye to the short-term team that was leaving that day), he prayed publicly and boldly, “Lord, I pray that these other teens here today would trust in You and that You would change their lives like You did for me. Amen.” That was a first for him. Pray for him to continue to grow, and that his prayer for the other teens in his city would be answered also! Would you take a minute now to pray for G., the many Croatian youth who heard the gospel this summer, and for the church in Slavonski Brod? Spanish World Ministries reaches thousands of people all across Latin America areas through radio broadcasts of solid Bible-based teachings with a gospel emphasis. RBC supported missionary, L., ministers with Spanish World Ministries (SWM) in Colombia. When he began his ministry with SWM in 2007, 63 stations were broadcasting these programs. At the end of 2013, L. reported 259 radio stations in his database. Through the years, L. has shown great determination to fulfill his ministry expanding the number of outlets airing the gospel, and the Lord has blessed his efforts. Although L. and his wife are serving SWM part-time, they reflect a sincere desire to take the gospel to every region of their country. After the conversation that L. had with this lady, he was reminded of the importance to keep increasing the number of stations broadcasting the SWM programs. Through the 259 radio stations carrying SWM’s programs, the Gospel is reaching people all over Colombia, but L.’s desire is to seek more outlets willing to air the programs. His prayer is that, just as this listener, many others in Colombia and throughout Latin America will find comfort and wisdom as they listen, and that those who do not know Him, might understand what God offers through Jesus on the cross. Currently Spanish World Ministries is broadcasting their programs 15,500 times per week all over Spanish speaking countries. Pray for gospel fruit throughout Latin America as these teachings go out! RBC-supported missionaries M. & C. moved from Russia to Germany last week. Here’s an update from them, along with some prayer requests. Please take some time to pray for them and their family as they transition to a new area of life & ministry. This is the last time (at least for a while) that we will be writing you from St. Petersburg. We leave for Germany on Wednesday, July 2nd. Six and a half years ago, God brought us to this special city in this special country to serve Him. It hasn’t always been easy, but we have been incredibly blessed ministering here… supporting Bible Translation, providing education for missionary families, doing orphanage ministry, leading a Bible study, and serving in our Russian church. For two of our children, Russia has been their home for more than half of their lives. We are very sad to be leaving this place that we love so much, but we know that God will continue to use us in Germany, just as He has used us here. As is often the case, when we don’t write a monthly prayer update in a timely manner, it usually means that we are very, very busy — ironically, when we need prayer the most. Today is our last day to pack before the container truck arrives on Monday (C.’s birthday is tomorrow and we are trying to set time aside to celebrate) and yet as much as I want to be packing, I know that we need to send out this update, because we need your prayers and we want to share our praises with you. – Praise God that our children have been accepted at Black Forest Academy! We waited two months to hear back from the school about their acceptance and so were understandably very excited to hear this news. Also, C. has been offered a full-time teaching position in the high school Math department! She is extremely excited to continue serving missionary kids in this way. – Praise God for giving me (M.) recent opportunities to provide online training in Bible translation software for translation and Scripture Engagement consultants from all over the world. This is one of my first chances to provide support for a wider area than just the former Soviet Union. – Praise God for all that He has done during our time here in St. Petersburg, for His divine providence for our needs, and for blessing us by allowing us to serve Him. – Please pray about our car. Until two months ago our car was working great and we had a buyer lined up. After one seemingly minor incident, we suddenly had major problems. While the car is now drivable, it is still experiencing a lack of power that we just can’t seem to find the cause of. We have spent days taking it to various mechanics without any good results. If this problem is not fixed, it is unlikely that we will be able to sell the car. Due to Russian regulations, we can’t take the car with us to Germany without incurring significant costs. Please pray that the car will be fixed and that we will be able to sell it. Please pray that someone will be able to help us with the car if we leave without having sold it. – Please pray for our finances . Moving and having to furnish our apartment in Germany is expensive, and without having sold the car, our finances are very tight. Also, the cost of living is a little bit higher in Germany. We know that God will provide for our needs, but we know that He works through the prayers of the faithful. – Pray for us to be able to receive our belongings quickly once we arrive. We need certain documents to receive the shipment and the process can take a few weeks. Please pray that we will be able to get our documents processed quickly and get settled in our new home. – Pray for new relationships. So much of what makes a home a home is the people that you share life with. Please pray especially that our children will quickly make new friends who will be an encouragement to them spiritually. Thank you so much for your prayers, encouragement, and support! Our keynote speaker for the 2013 Missions Conference, Dr. Chris Gnanakan, shares on how the gospel is the hope of the world as it goes forth across the nations. Did you attend any part of the 2013 Missions Conference? If so, what did God teach you or what impacted you? What is your understanding of missions? What scriptures can you think of that pertain to missions? Do you have any personal experience with missions? Please share. Read and discuss Colossians 1:21-29. What does this tell you about the person of God? What do you see about the nature of man? What do these verses tell you about missions? What is the relationship between missions and the gospel? Is missions a specific call to a select few, or a general call to all Christians? What is your current role in missions? What would it look like to grow in this area? Would your small group be willing to adopt an RBC missionary? You can get information here. Spend some time praying for our missionaries. Here are some helpful guidelines on how to pray for them. On the heels of our 2013 Missions Conference, we’ve sent some of the RBC worship team to Brazil this week in partnership with Open Arms. They will be headlining a concert there and will have many opportunities to share – and show – the gospel of Jesus Christ. The team will use a version of the video above (featuring Hillsong’s Our God is Love) to promote the concert, which takes place this Thursday (November 14) in Assis. We thought you would enjoy it, too. 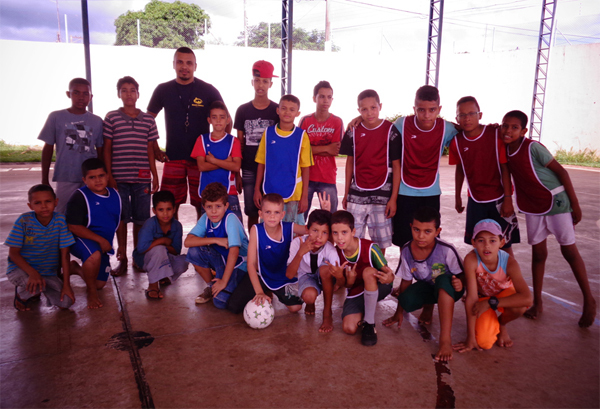 Please pray for our team and their time in Brazil. You can learn more about their project and specific ways to pray here. Recorded live at The Cocoon. This Sunday evening, members of the RBC worship band will leave for Brazil to headline the third annual Voz e Vida (Voice & Life) Concert to raise awareness and support for Open Arms Brazil (www.openarmsworldwide.org). This will be our second time there and we’re so excited to have the opportunity and to have the incredible support of our church. Many of you have given financially to our trip and we are so thankful for your generosity. I don’t know who gave what or how much – but I know that we’ve reached 88% of our goal – which is GREAT! So thank you. Many of you have asked how you can pray for us as we spend our week there… and as we experience South American SUPERSTARDOM. 1. Travel: We’ll fly all night through to Sao Paolo and then take a six hour bus ride to Assis (Note: it’s the nicest bus I’ve ever been on. Not joking. WiFi, A/C, fully-reclining seats, the WORKS). And our flight is direct, so there’s not a huge fear of losing anything. But we have six guitars and a couple cases of gear to bring along. Please pray for that. 2. Our promotional time: We’ll spend the first few days promoting the concert on TV and radio. We’ll play some acoustic shows at some of the area high schools and colleges, encouraging people to join us for the big concert on Thursday night. We will have opportunities to share our faith in Christ and minister to the people we meet. Please pray for that. 3. The concert: We headline the concert – covering about 70 minutes of music. We’ll be playing some of our favorite and best worship songs throughout the night – displaying lyrics in Portuguese for the people to follow along with what we’re singing about. There will be many, many believers there worshiping with us… totally free in their worship. It’s an incredible environment. And there will be many, many unbelievers there as well. Watching. Listening. And hearing the Gospel. Please pray for that. 4. The follow-up: The work that Open Arms does in Brazil is amazing. Based on last year’s event, there will be an influx of people wanting to give money, volunteer, or do anything to help. And Lord willing, there will be many who will trust Christ as their Savior. Please pray for that. We are so thankful that God has provided a chance for us to use music to reach people for Christ, make Him known throughout the world, and partner with an awesome organization like Open Arms. God is working in amazing ways. We can’t wait to see it firsthand. Thank you for your prayers and support. God bless. On Sunday, September 15, RBC accepted bike donations to benefit an orphanage in Nicaragua. Through our SACS Thrift Store partnership, we are working with Verbo Ministries, a church-planting and disciple-making ministry working with the Casa Bernabe Orphanage. Verbo has partnered wtih the orphanage to develop a thriving bicycle shop, where orphans are discipled as they learn bike repair, sales and customer service. Nicaragua is the second poorest nation in the Western Hemisphere, where 60 percent are underemployed or unemployed. The training they recieve in the bike shop serves the orphans well when they enter the job market. We are thankful to God for the generosity of so many here at RBC. On Sunday, we collected 175 bikes! We’ve been collecting for several years from a bunch of churches. I think the most we ever got from a church collection was 58. Talk about shattering a record. You nearly tripled it! I met some really great people today. What a blessing. We are very, very grateful. And, the quality of the bikes was excellent. This is a huge help to the ministry. Thank you for the remarkable work you did to make this happen. Please extend our sincerest gratitude. This will make a difference in Nicaragua. Thank you to all who donated bikes. Please keep the Casa Bernabe orphanage and those who minister the gospel there in your prayers. A couple weekends ago, we announced that through our SACS Thrift Store partnership, we are planning to send bicycles to the Casa Bernabe Orphanage in Nicaragua. We will do this through Verbo Ministries, a church-planting and disciple-making ministry who have partnered with the orphanage to develop a thriving bicycle shop, where orphans are discipled as they learn bike repair, sales and customer service. Nicaragua is the second poorest nation in the Western Hemisphere, where 60 percent are underemployed or unemployed. The training they receive in the bike shop serves the orphans well when they enter the job market. I totally get it. We have spent a lot of time in Uganda serving at orphanages and we have 2 boys from Uganda. Empowering people with knowledge and a sense of self worth is an invaluable asset in overcoming poverty. This ministry is a perfect fit. I love it through and through. My husband Mike had to keep telling me to be quiet during service last week when i was reading the flyer, he said my excitement was a distraction to others 🙂 I have already gotten one bike delivered! I am going to spend the afternoon making room in the garage for more. I believe that God is going to bring many more! On Sunday, September 15, we will be accepting bike donations for the orphanage. Bicycles can be any size, in any condition. Please bring your bike donations to the rear of the main RBC building anytime between 8:00 a.m. and 1:00 p.m. that day. Look for the cones near the Food Pantry storage shed, where a volunteer can help you unload your bike(s). Donation receipts for tax purposes will be available. If you have three or more bikes to donate, but can’t bring them to the church, please contact Betsy Madden at betsymadden@restonbible.org or (703) 404-5034 to arrange pick-up at your home. He is from Bossangoa, the capital of Ouham, one of the 14 prefectures of the Central African Republic. E. was once an atheist, an eager student of humanistic philosophy, and firmly set against Christian faith. After completing his studies and training as a teacher, E.’s further academic plans were blocked by a lack of finances. In answer to his wife’s prayers, this roadblock became a turning point in his life. He decided to look for opportunities to use his skills to benefit the local community. He even approached the pastor of a local church and offered to start literacy classes for church members. The pastor encouraged him to instead enroll in a translation training course being offered to members of the community so they could begin to translate the Bible into Gbeya, E.s’ own mother tongue, which is spoken by more than two hundred thousand people in the Bossangoa region.. When an atheist meets the God of the Bible, anything can happen! Pray for E. and his work in Bossangoa. Pray for the many people around the world who are translating the precious words of Scripture into the native tongues of nations and tribes. Ernest and Evelyn work in partnership with Oakseed Ministries with the Colaba Slum Project in Mumbai, India. Oakseed assists local ministries that serve abandoned children and the poor who live in the megacities of the Third World by bringing the good news of Jesus in word and deed. It has been a joy for them to actually see the fruit of evangelism teams that are reaching out daily to both lower middle-class and poor families in that area. These are people who live in the slums, roadside huts, streets and hospitals. A special team even visits the brothels of Colaba five days a week providing prayer, worship, counseling and guidance. Recently, this ministry led a couple from death to life. Ernest and Evelyn had developed a close personal friendship with a drug addict and his girlfriend, who was working as a prostitute. They and their church community reached out to them, befriended them, prayed for them, counseled them and tried to love them like Jesus loves. After much time, the addict and his girlfriend came to faith, were transformed, left their old lives behind and were baptized. In an amazing celebration of new life, they were married before the Lord in December 2012. In February 2013, Ernest and Evelyn were able to help them move from a garage shelter in the slums to an apartment. Praise God for His transformational love at work in their lives through the gospel of Jesus Christ. The Colaba Slum Project is currently planning to begin a preschool in the Balwadi Slum in Colaba. Pray for God’s provision of a building, teachers and administrative staff. Please pray for Ernest and Evelyn and their teams as they seek to love the poor and forgotten people of these slums. Muslims fast for thirty days once a year during a period called Ramadan (or Ramazan). Fasting is one of the Five Pillars of the religion of Islam and one of their highest forms of worship. During these thirty days, Muslims around the world will fast from first light until sunset, not even drinking water. They will typically break fast to eat and drink in the evenings. In the Muslim culture, Ramadan marks a period of heightened religious sensitivity and is regarded by Muslims as an act of obedience and submission to God as well as a means of atoning for sin. They view their fasting during this time as a way to purify themselves and earn favor with God. 1 – We should be humbled and grateful before God that we do not have to earn His favor. Jesus Christ atoned for our sins – no other atonement is sufficient or necessary (Romans 3:22-26). God has done that for us, a great gift of redemption that cannot be earned or achieved through our good works. It is God in His great love and mercy that makes us alive in Christ (Ephesians 2:4-9). Thus, we should be both immensely humbled and grateful. Mind you, our gratefulness shouldn’t be in the Pharisaical sense (“God, thank You that I am not like these other people…”) but with a sense of wonder that He should have mercy on sinners at all (Luke 18:9-18:14). 2 – We should be drawn in compassion toward those who do not know His gift of grace in Jesus. In the first chapter of 2 Corinthians, Paul urges Christ-followers to comfort those in any trouble with the comfort we ourselves have received from our Heavenly Father – the “Father of compassion and the God of all comfort” (1 Cor. 1:3-5). Muslims have no concept of God as Father, and without Christ, cannot know Him as such or be reconciled to Him. So for the Christian, the Muslim celebration of Ramadan is a special opportunity to pray that they might come to know the great and eternal comfort in Christ. Why should we pray for Muslims during Ramadan? Our compassion for the lost should draw us – at a minimum – to prayer for them. Prayer for Muslims during Ramadan is a means by which Christians can missionally identify with Muslims for a fixed period of time and call for God’s sovereign intervention in the lives of Muslims during a time of the year when they are particularly religious. We would certainly be clear that praying for Muslims during the month of Ramadan does not mean that we conform ourselves to the Muslim practices. As believers in Jesus Christ we do not hold to Islamic ideas, theology and practice. However, we can – and should – place an emphasis on God’s love for Muslims. All believers should cultivate a spirit of humility, love, respect and service toward Muslims, and the month of Ramadan is an entirely appropriate season to redeem for the glory of the Gospel of Jesus Christ. Though Muslims have been caricatured as “unreachable” with the Gospel, this simply is not true. About 20 years ago, the world had about 1.1 billion Muslims. Islam was a little-known religion in most Western nations, and efforts on the part of the Church to share their faith in Christ with Muslims were scarce. Today, efforts have increased ten-fold, and the technological advance of the past 20 years has transformed the way in which the Gospel is communicated to previously-unreached Muslim groups. For example, radio and satellite broadcasting throughout the Muslim world has resulted in millions of Muslims responding to the message of Christ. In the Arab world alone, one ministry, SAT 7, has a regular audience of 8.5 million. RBC supports a number of missionaries who are serving in Muslim communities around the world. Many Christians are finding a new passion and commitment to see God’s kingdom come in Muslim nations, according to an article from Thirty Days Prayer Network. In November 2012, 70,000 Christians from all denominations gathered in Cairo to pray for their nation. Others are finding increasing boldness as they lovingly reach out to their Muslim neighbours in new ways during these uncertain times. Across the region there is an explosion of stories of Muslim people coming to faith in Christ and meeting together for support, encouragement and discipleship. Increasingly, however, these movements are finding themselves the targets of intimidation and persecution by their family, community or governments. The challenges in reaching Muslims for Christ are great, but the power of the Gospel is greater. Our prayer is that Muslims will experience the love and grace of God the Father through the revelation of His Son, Jesus, to them as their Savior. We encourage you to seek further information and gain a greater understanding reaching the Islamic world for Christ by viewing articles online at www.30-days.net. There, you can find daily prayer ideas though the month of Ramadan, as well as general articles and ministry ideas relating to Islam. On the busy streets of Bratislava, Slovakia, no one found it odd to see an advertisement for a class on the biblical principles of marriage. Slovakia is, after all, a religious society. Talking about God is normal, but living in relationship with God – that’s a different story. Many see Christianity as a crutch for the weak, something that strong, self-reliant people have no need of. H. and A. came from this background, but decided to attend the class on marriage offered by Crossworld missionaries. Like many Slovak couples, H. and A. were not married, but lived together. They each believed they were committed to their relationship. After the five-week class ended, they both still seemed interested in learning more, so the missionaries teaching the class invited them to study the Bible together. For several weeks, they met to study the books of Mark and Romans, and continued to discuss the gospel and what it means to follow Christ. H. finally told the missionaries that she and A. understood it, but they were not ready to accept it. A few months later, the missionaries called to check on H. She broke down and wept over the phone as she told how A. had left her and she did not know where to turn. The missionaries did their best to comfort her, and as they shared Scripture, her walls came down. She started attending a small group, and shortly after, she accepted Christ. The Slovak people often think those who are strong have no need for God, and at one point, H. might have said the same thing. But H. learned she was not as self-sufficient as she thought. It was God’s gracious hand reaching out to her during a crisis situation that helped her see her need. Months have passed since H. trusted Christ, and she has become one of the most faithful members of her local church. She still struggles with sharing her faith openly, but she recently decided to be publicly baptized and is steadily becoming bolder in her witness. One of the keys to H.’s salvation was having a relationship with the missionaries who lovingly pursued her and invested in her life. There are no guarantees that investing in people’s lives will pay off. A. chose to walk away, but H. decided to keep seeking. But God’s truth – delivered through a caring relationship in the context of the difficulties of life – is a powerful formula for life-transformation. Jesus came not just to transform our eternity, but to radically impact our life here and now. That’s why the best disciple-makers are those who learn to engage people where they live and speak Gospel-centered truth with love into the brokenness of life that Jesus came to redeem. Pray for all our missionaries in Slovakia as they seek to make disciples and, by the power of the Gospel of Jesus, transform people’s eternity and their lives in the here and now. Every year since 2007, teams from Northern Virginia have been visiting the community of Benevides, Brazil, working with a ministry called Creative Hands. Creative Hands works with families living near a landfill. Our mission is to support the ministry of Creative Hands through community service projects and the gathering of material they can use throughout the year. This year, the team will be working to build two houses for two families in the community. In addition, the team will host a week of day camp for families to attend. 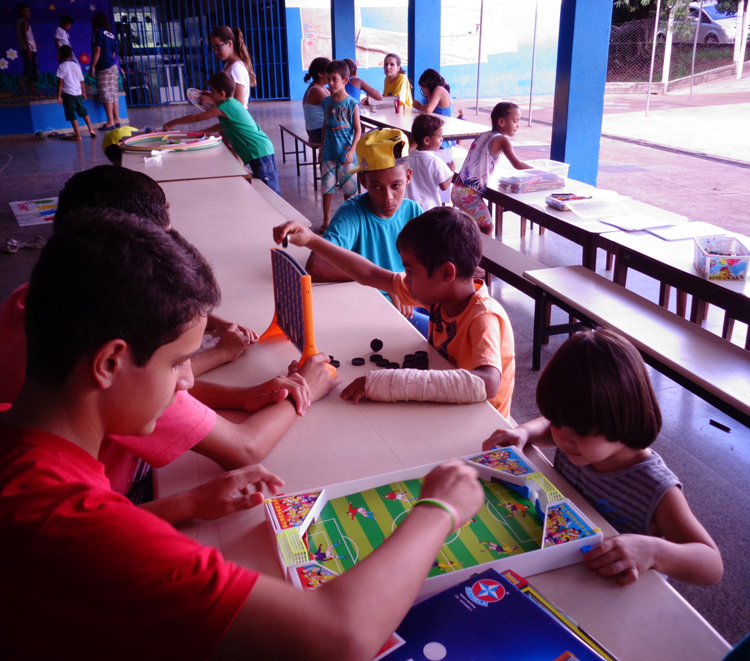 During the week of camp, we’ll offer soccer clinics, sports activities, arts and crafts, workshops, and vocational courses. Our hope is to provide a safe and warm environment for families to grow both as individuals and as a unit. We desire to encourage them in the love of Christ. One group of team members will be in Brazil from June 28 to July 7, where they will be hosting family camp and constructing a house. From the 7th to the 16th, a second group will be constructing a second home. If you’d like to financially contribute to camp and building supplies for this trip, you can give online. Be sure to designate “Brazil Building/Camp Supplies.” You can also drop a check in an offering box at church, with “Brazil Supplies” in the memo line.